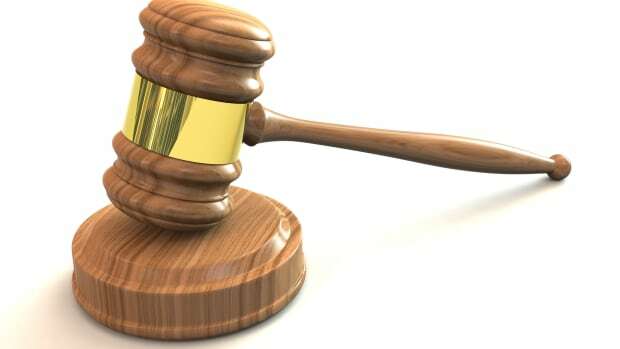 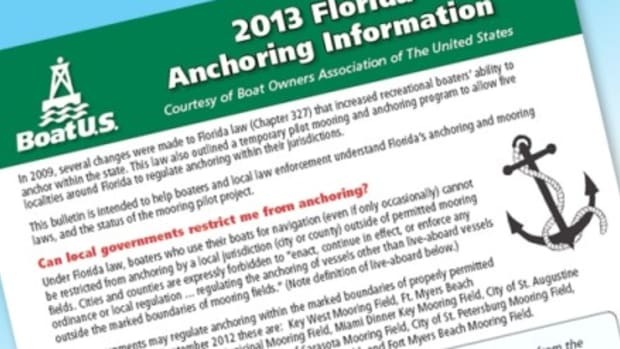 Boaters must speak up today to preserve their anchoring rights in the state of Florida. 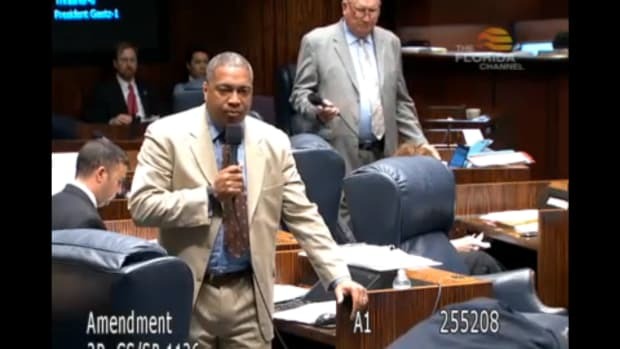 WHEN: Tomorrow, on Wednesday, February 24 the Florida Senate Appropriations Subcommittee on Tourism, Transportation and Economic Development in Tallahassee will consider legislation, Senate Bill 1260, that would severely restrict anchoring in specific areas of Sunshine State waters. 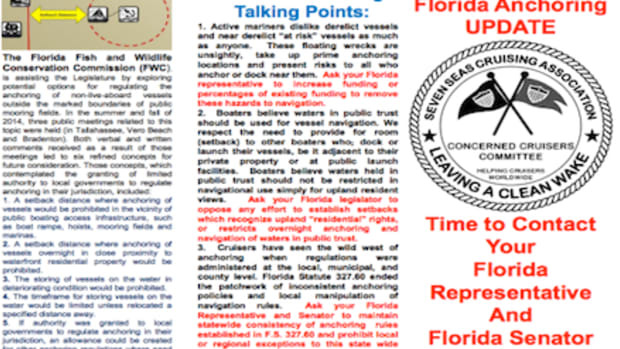 Boat Owners Association of The United States (BoatUS) urges local boaters and residents who oppose unreasonable anchoring restrictions to email their State Senator immediately and ask them to oppose Senate Bill 1260. 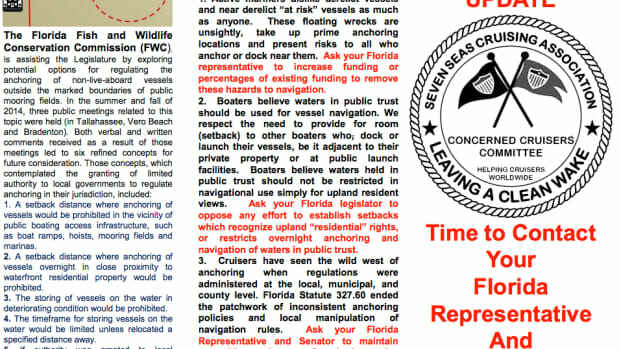 WHY: Boat Owners Association of The United States (BoatUS), along with a wide collection of user groups, has worked hard to prohibit local Florida governments from enacting a patchwork of laws restricting the anchoring of vessels outside permitted mooring fields. 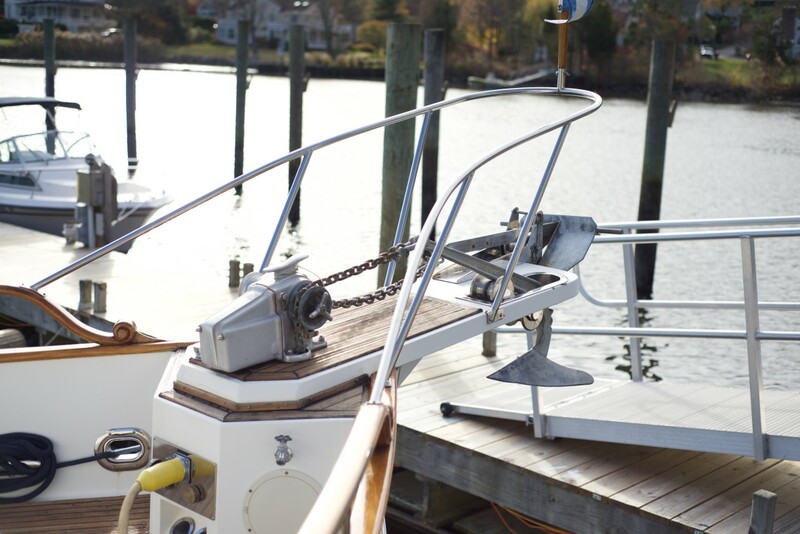 BoatUS wants to ensure that active, responsible, cruising boaters continue to have an array of anchoring options, including anchoring out, using moorings and tying up at docks. 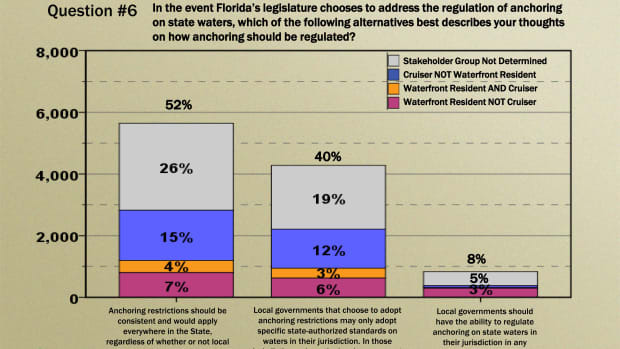 The nation’s largest recreational boat owners group does not want to return to the broken and confusing system of local laws that make legitimate cruisers unwelcome in some local waters. 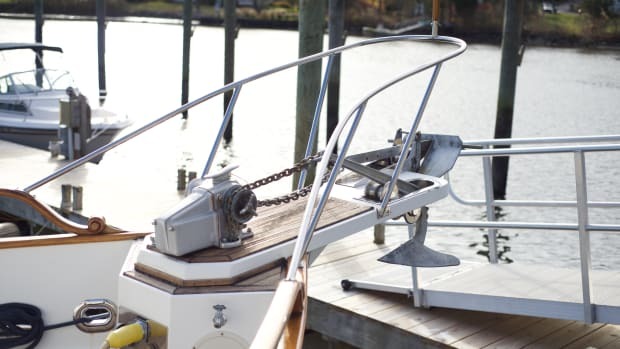 Senate Bill 1260 directly circumvents the statewide effort to develop consistent and rational anchoring options for cruising boaters.